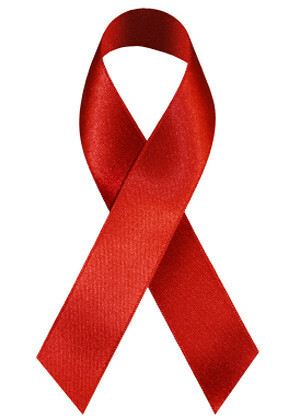 June 2011 marks the 30th anniversary of HIV/AIDS. This is the third reflection from my experience working with HIV/AIDS, 1984-1993. You can catch up on previous installments by clicking on HIV/AIDS in the sidebar to the right. I’ve lived in urban areas and rural areas. What I’ve noticed is rural areas think they don’t have the same issues and problems as urban areas. There’s a sense of being in a protective cocoon. The perception is that the icky stuff that happens in the big city isn’t happening in their wonderful Norman Rockwell small town. Time for a reality check. Whatever “it” is, “it’s” happening everywhere. “It” just may not be so evident…initially. I still remember where I was when I heard, “We don’t have any of those people here.” I had just finishing giving my monthly report to the hospice board. I was stunned! This was the most liberal group of people I encountered in the entire county and they had this kind of attitude about a group of people?!? I replied, “You mean people with a six months or less prognosis? That’s our clientele.” That started the you-know-who-we’re-talking-about-let’s-dance-around-the-real-issue dialogue. Finally, I asked if they were telling me I could not admit someone with AIDS to our hospice service. That segued into the what-would-our-donors-think dead-end conversation. They asked for my resignation. Now that we didn’t have hospice as a resource, we needed to create a community of new resources. That turned out to be a blessing, indeed! A community who were invisible to others around them came out to support and care for those with AIDS. Not only did they mobilize to provide friendship and respite care, they mobilized their financial resources and professional expertise to form a a grass-roots movement! They booked me for HIV/AIDS education at the gay bars. I’d show up with information and condoms. I’d book them for shifts; my promise was that no one died alone. They’d organize a cocktail party fundraiser (something to experience to believe! ), inviting Dr. Gordon and me. We’d enlist their connections to provide services we needed: massage therapy, nutritionists, drivers, therapists. The AIDS Support Network was established and developed as the needs grew. The community emerged in response to a need. We figured it out as we went. The wonder of community is seeing what evolves. The biblical adage, seek and you will find, was fulfilled beyond any of our wildest imaginations! Oh and by the way: the hospice closed their doors within two years. And rather than fear something they didn’t want to know about, the population gradually opened their eyes to reality. And it wasn’t so bad after all. I’d like to invite you to join me September 18, 2011 for the C.A.R.E.S. AIDS Walk in Sacramento, California. There aren’t a lot of details up on the website yet, but if you email me, I’ll keep you posted!